Cooperating is # 1 for harmony, joy, and...results! 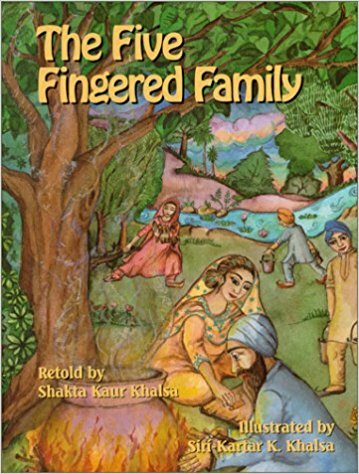 This is a retelling of the Punjabi tale about a family who learned to work together. They unified like the fingers on a hand together, to defeated an ogre in the forest. Their neighbors who tried the same thing, were not successful because they weren't as unified. Shakta and I had a lot of fun cooperating together, to create this book. A tale with a message that is always valid, and applicable to any age and situations.